Due to teacher training, students will be dismissed at 12pm today, Thursday and Friday. SPIRIT || Trojan Spirit Day recap! Watch all the fun our Trojans had at the Boys Varsity Volleyball game. It was a great day for all Trojans! 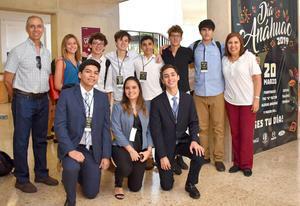 EA will host 7 schools from Central America in this innovative academic event. 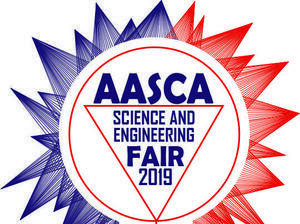 Teams will present projects based on experimental research on Thursday, March 21 from 11:00 -12:00 noon at the Secondary Lobby. Don't miss it! 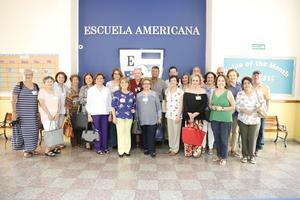 EA and Universidad Mónica Herrera partner to train EA teachers on DESIGN THINKING. PROFESSIONAL DEVELOPMENT || Escuela Americana has partnered with Escuela de Comunicación Mónica Herrera to train all EA teachers on Design Thinking, a training that will last 18 months. Teachers are being trained so they can better understand their role in innovating in the classroom. This state-of-the-art approach to learning different from traditional teaching, is an entire school process where we will help students learn how to think and problem solve. 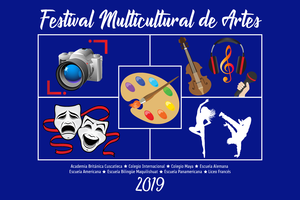 Congratulations to the Upper School team that participated in the LIGA INTERNACIONAL DE TALENTO at Universidad Anáhuac Mayab in Mérida, Mexico for their remarkable results! In the MATHEMATICS Competition, Alexia G. and Gabriel C. got 2nd PLACE all around and in the SPEECH Competition, Ricardo S. finished in the TOP 5 of more than 53 schools! We are proud of the entire team and of their coaches Mr. and Mrs Erazo! EA TROJANS! 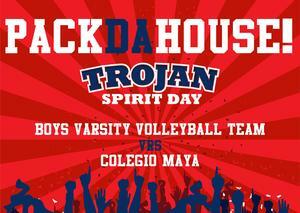 Get ready to PACK DA HOUSE at the Trojan Spirit day! March 26th- 2:00 pm - Get your school colors ready and let's support our Trojan Teams! Regional Mathcounts Competition in Mexico! Great Results! 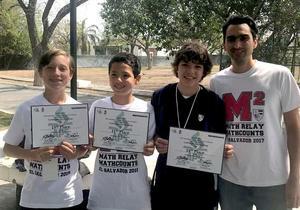 Congratulations to our Middle School Mathletes participating in the Regional Mathcounts Competition in Mexico. EA won 4th place in Math Relays and team B won 1st place all around in Mathcounts. In the individual Mathcounts rounds, 3 of our students placed top 20; Juan Diego F., Javier C., and Marco E. We are very proud of your effort!